Popular in the 1950s and 60s the bar trolley is experiencing a contemporary upswing in popularity. 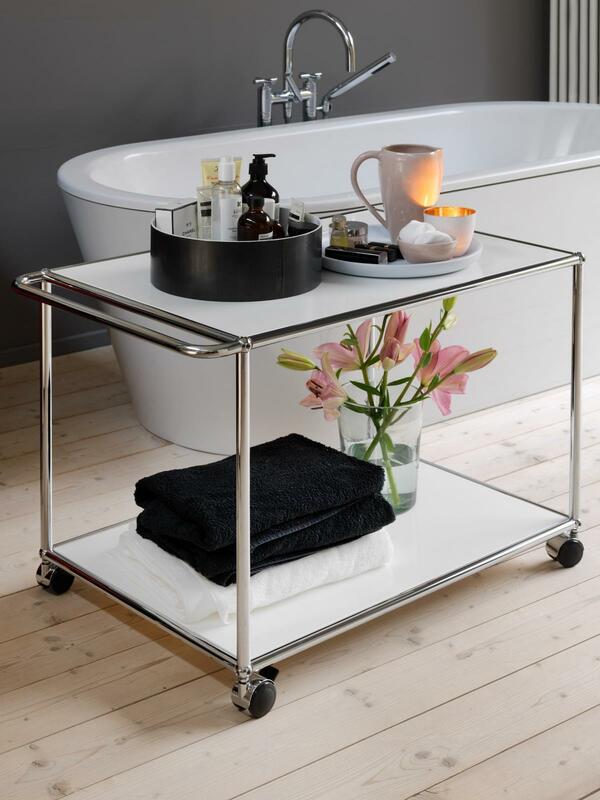 Also known as tea carts or serving trolleys, bar trolleys are back in fashion and are increasingly becoming an integral part of a well-equipped lounge area, kitchen or living room. 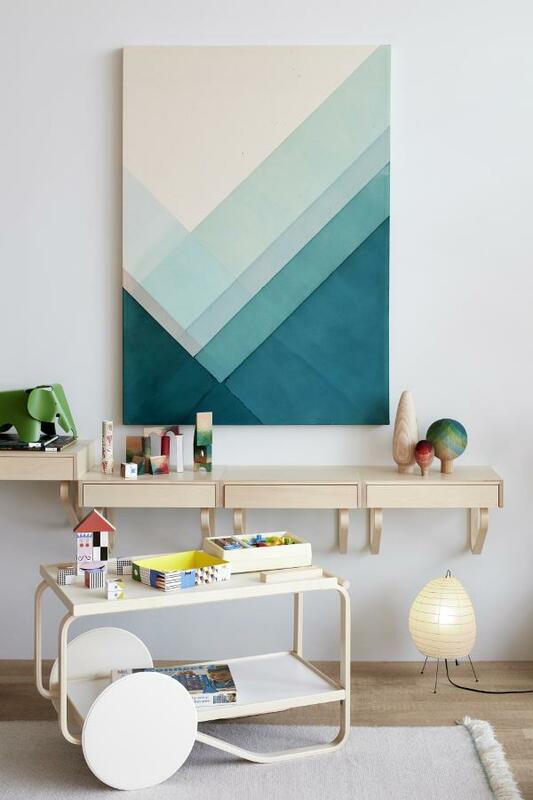 In addition, bar trolleys have long been a popular prop in cinema and television productions, while many have the special retro charm that brings with it its own warmth. 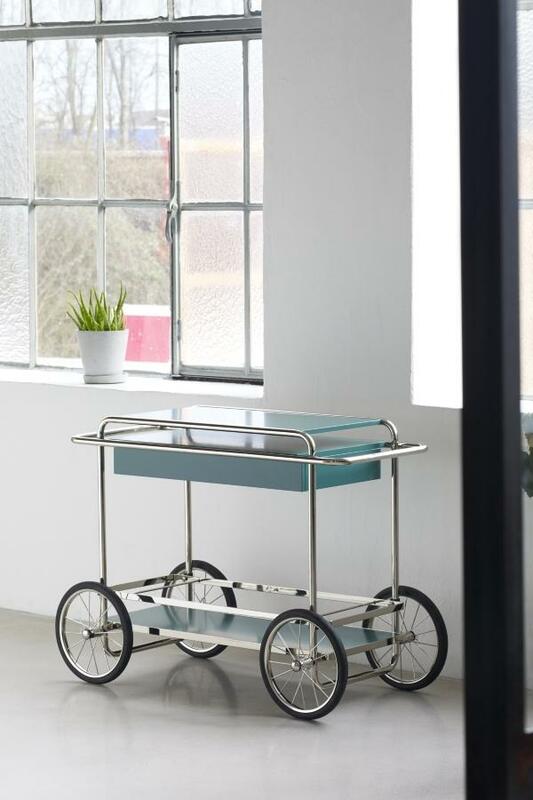 Among such examples one could name the Tecta M4R bar trolley from the year 2002, and which cleverly takes up the style of the Bauhaus era. The right trolley not only provides a practical storage option for the personal minibar, but also sets special accents in the interior. 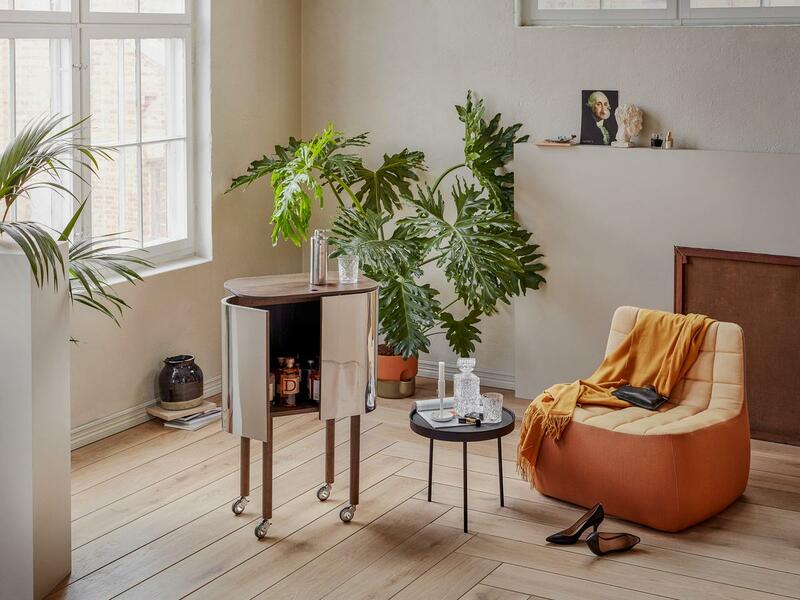 The USM Haller "Schnaps" bar cart, for example, is not only suitable for drinks, but can also be used as a storage space in the bathroom, in the entrance area, or as a flexible sideboard in the living room. 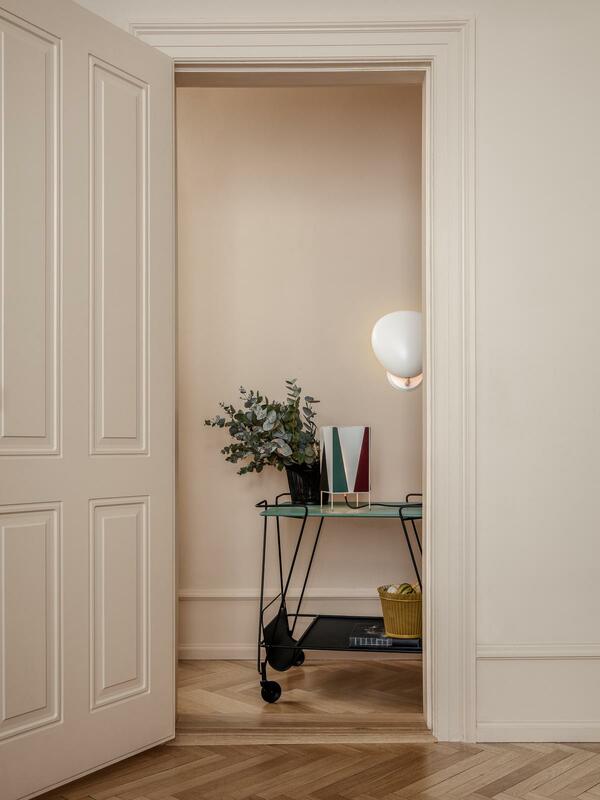 Regardless of whether a design classic such as the Artek trolley 901 or contemporary products such as the Northern Loud Bar, the flexible bar trolley complements the interior in a stylish way and proves the finest aesthetic flair, and underscores a host's good taste.